Fortune Electrical Corporation (M) Sdn. Bhd. 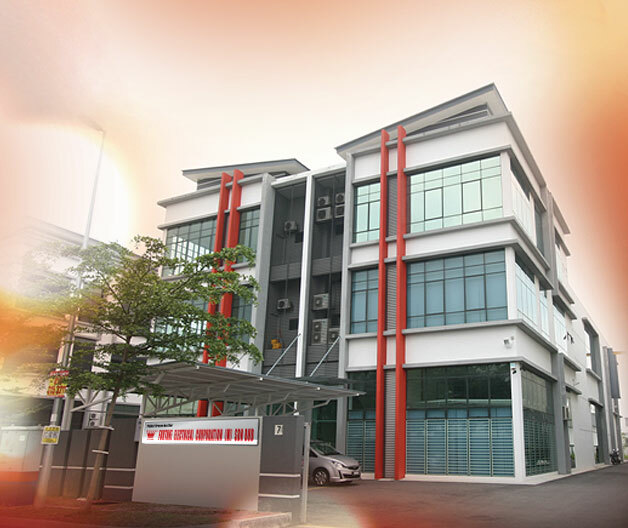 (hereinafter referred to as ("Fortune Electrical") is a Malaysian company incorporated in 1994 by Mr. James Foo to manufacture and market a wide range of electrical products to meet the exacting demands of industrial and retail customers. Fortune Electrical distribute its own CROWN® brand of product that it manufactures itself or made through its contract manufactures under stringent quality control adhering to the highest international standards. CROWN® is awarded the 2011 Malaysia Power Brand in electrical products for outstanding achievement of best quality products and services. All the employees at Fortune Electrical espouse and embrace the principal of Total Quality Management (Commonly referred to as "TQM") in order to consistently conform to its customers expectation. They are a highly motivated work force, passionate, intense, focused and undergo continuous training to upgrade skills and knowledge. It is through such acquisitions of skills and knowledge that has and will the company at the forefront of development and ever ready to add value and serve its customers effectively and efficiently. The range of products distributed by Fortune Electrical can be distinctly divided into the following categories: Industrial Products, Commercial Products and Consumer Products. Fortune Electrical is now poised to enter new markets within the ASEAN countries given the staged implementation of AFTA. As the company expands its activities, further benefits will accrue to its existing loyal customers, in particular in the area of pricing given an economies of large scale production and distributions. To its new customers, its presence will provide an alternative source of quality supply in its value chain. Fortune Electrical is your trusted partner in the value chain of your business and will strive to maintain its relevancy at all times to maintain mutually beneficial relationships with all its customers. It espoused the belief that it cannot looks good until and unless its business partner look good! This pledge is the ultimate customers assurance. "Together We Grow"
Copyright © 2017 Fortune Electrical Corporation (M) Sdn Bhd. (283557-V).